Make a statement with this sparkling Nikki Lissoni coin. 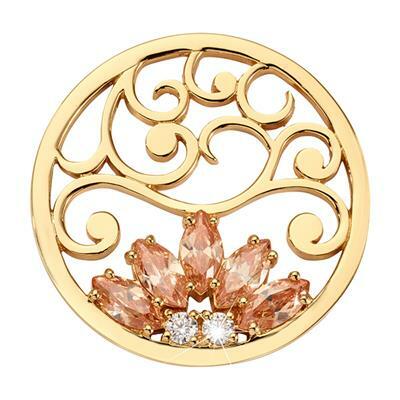 This gold plated coin features statement peach crystals and a delicate filigree design. Pair with a medium Nikki Lissoni carrier, and a Nikki Lissoni chain, for the perfect necklace.